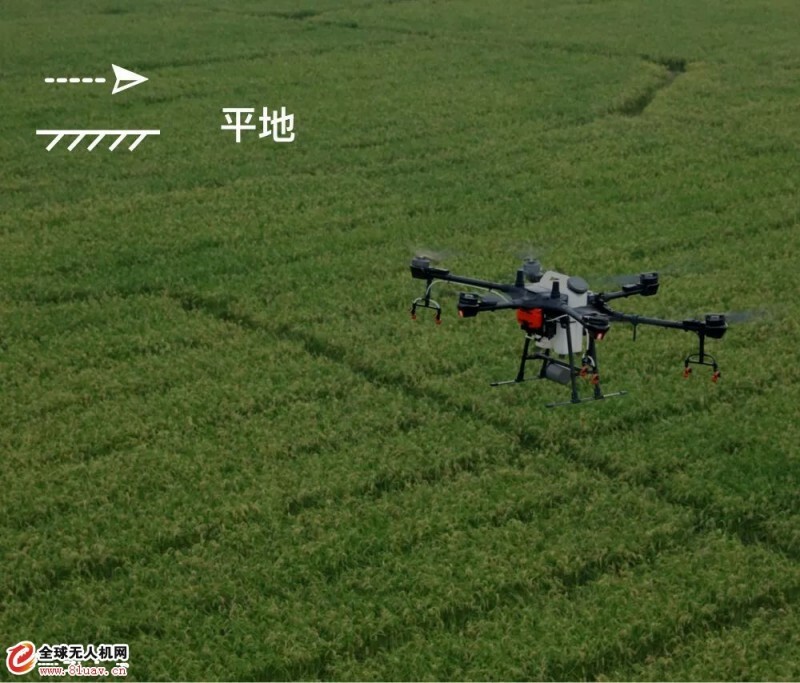 The T16 agricultural UAV has reshaped the whole structure and adopted the modular design, which has brought about the unprecedented high load and wide spray amplitude of DJI’s agricultural UAV. 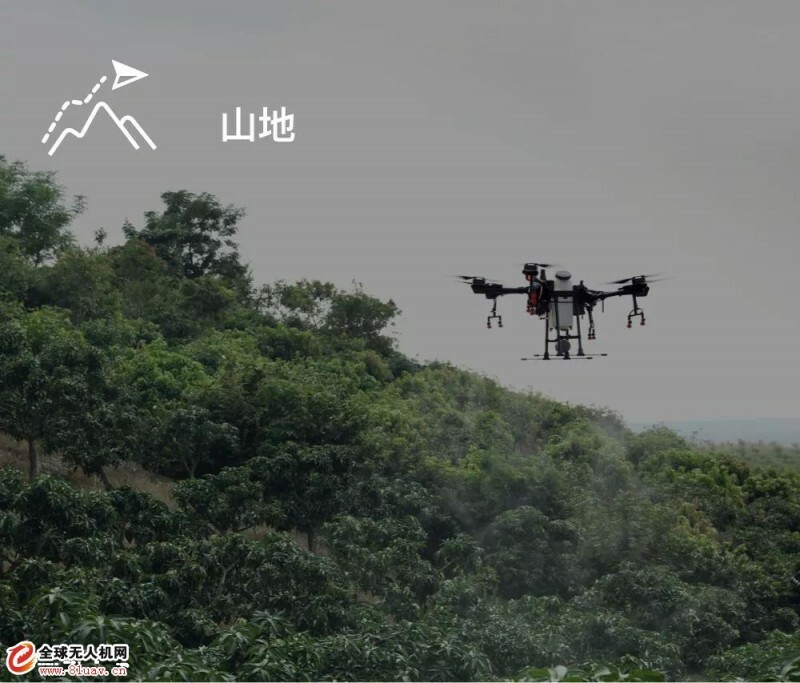 Strong hardware collaboration with AI intelligent engine technology and three-dimensional job planning function improve the efficiency of plant protection to a new level. 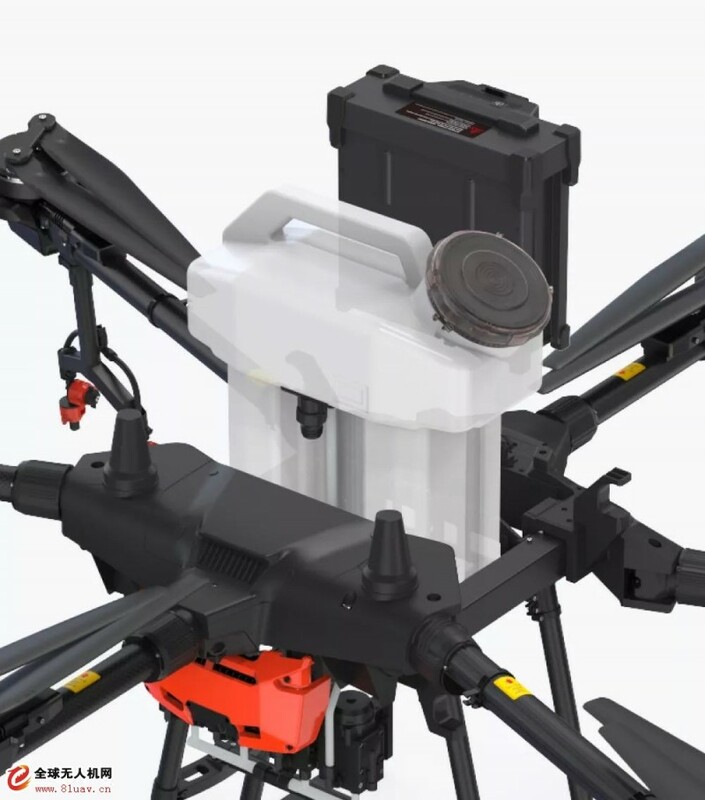 T16 new modular design greatly simplifies the fuselage disassembly, daily maintenance speeds up to 50%, and core components are up to IP67 protection grade, which is stable and reliable. 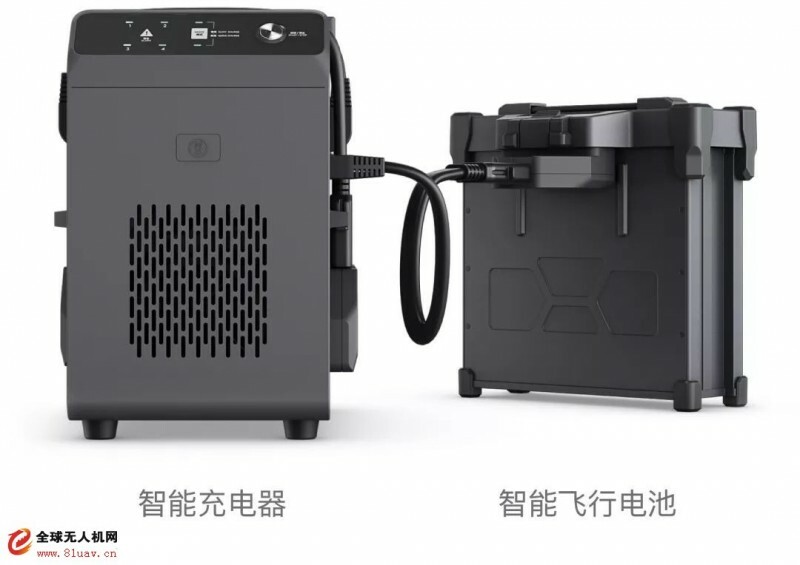 In actual operation, the efficiency of T 16 can reach 150 mu per hour. In addition, the spraying system is equipped with a new electromagnetic flowmeter, which brings unparalleled high accuracy and high stability. The new modular avionics system ensures flight safety. 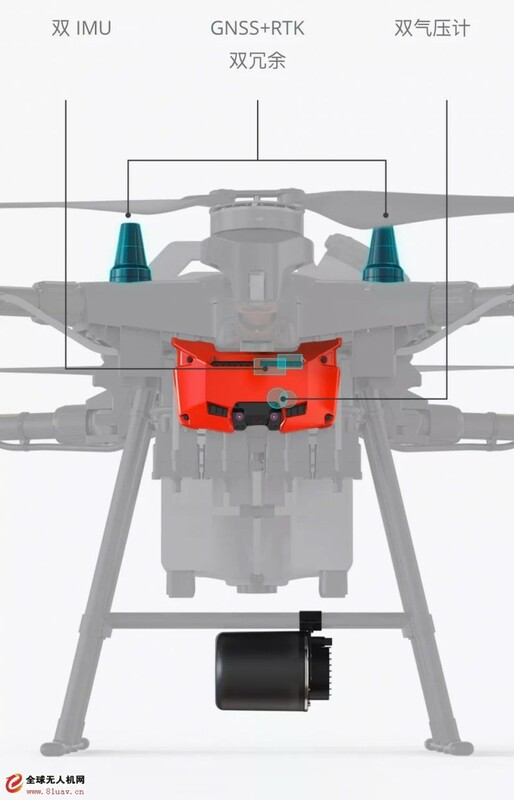 GNSS+RTK dual redundancy system brings centimeter-level positioning accuracy and supports dual-antenna anti-magnetic interference technology to make operational safety further. 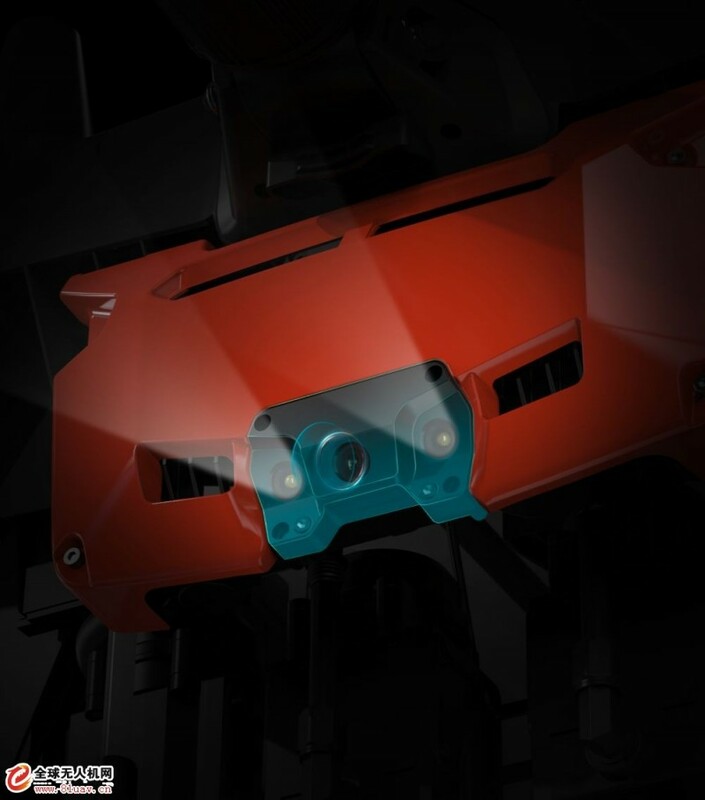 The T16 is equipped with a new DBF imaging radar, free from ambient light and dust, and can sense the environment of farmland all the time. 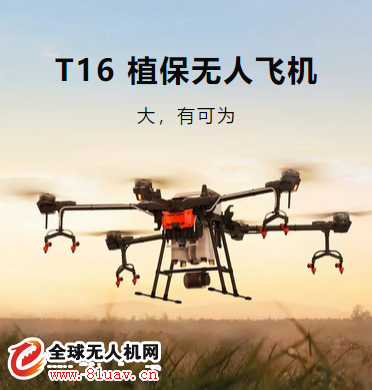 The T16 supports OcuSync 2.0 high-definition digital graphic transmission technology, with remote control distance up to 3000 meters; With wide-angle FPV camera and night searchlight, it can monitor the aircraft operating environment to ensure operational safety. 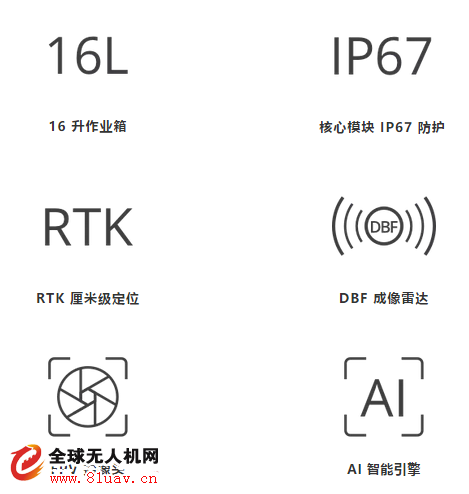 The T16 supports the planning operation function of flat land and mountain area and the operation mode of fruit tree to meet most operational requirements. 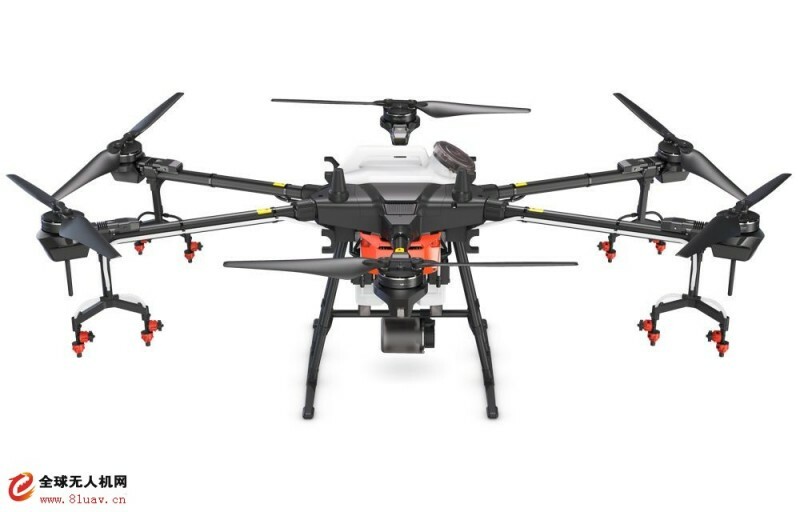 It supports a remote control to control the simultaneous operation by five T16 UAVs to make operating efficiency doubled. 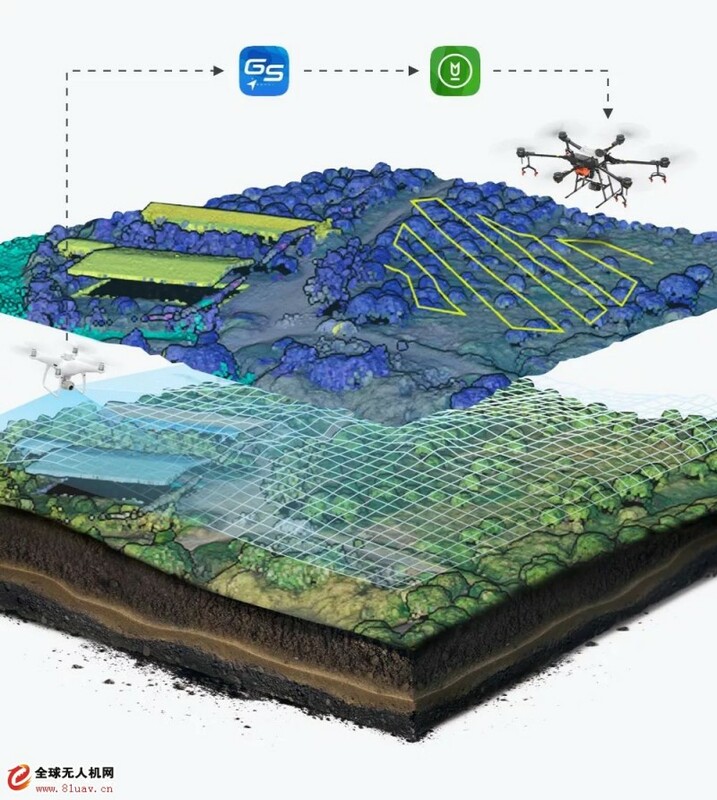 Combined with the professional edition of PC earth station, 3D modeling and AI fruit tree recognition can be carried out. 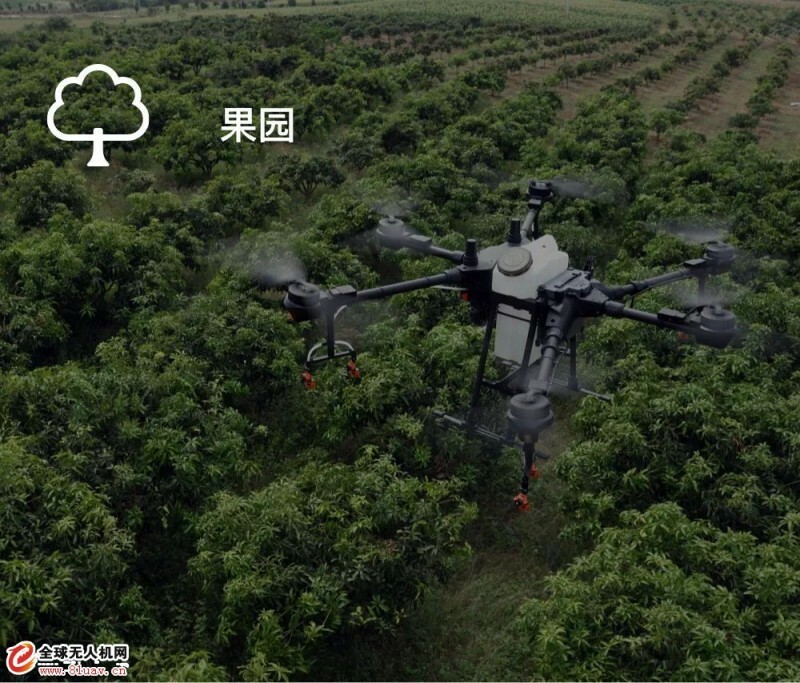 According to the distribution and height of fruit tree, 3D route planning can be carried out. Excellent power system and slope detection technique, even in mountain operations, can be handy with facility. Manual, AB point and route planning mode is available. Common terrain operation is easy to complete. 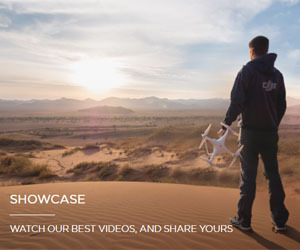 DJI Agriculture is committed to promoting the efficiency of the whole plant protection process and injecting more intelligent components into the plant protection operation. Up to 4 batteries can be charged at the same time. At single channel fast charging mode, it takes 20 minutes to complete the charging, with charging speed up to 50%. Built-in battery health management system can do real-time monitoring of voltage, temperature and other key data to ensure the security of charging. The capacity is up to 17,500 mAh. The 14S core high voltage system is used to reduce the current loss. With all-metal shell design, protection can grade up to IP54 and heat dissipation efficiency increase 140%. 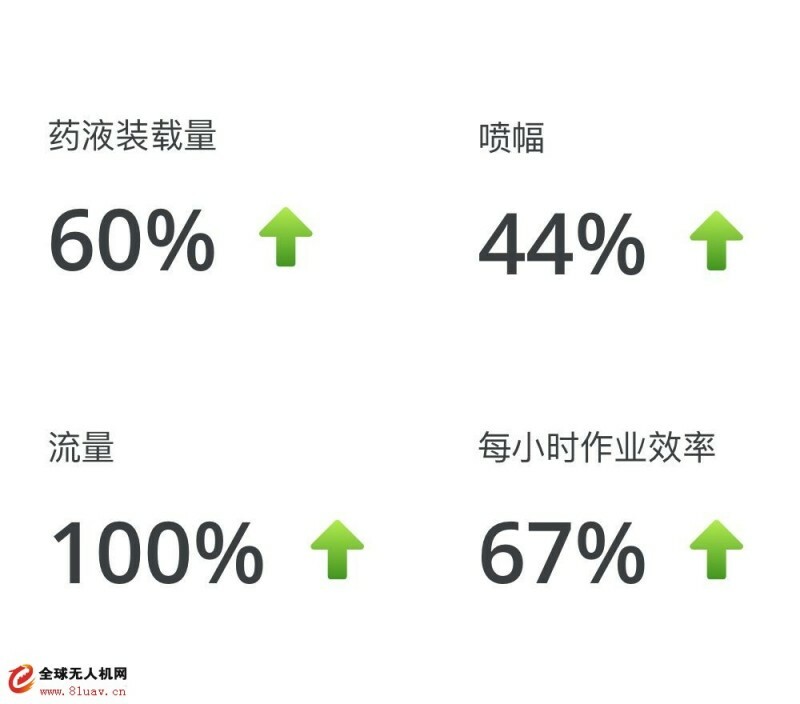 Combined with the core self-equalization management technology, the battery charge and discharge cycle times increase to 400 times, which can greatly reduce the cost of operations by comparing with the previous generation of products.